Where else in the world are ELEVEN restaurants pending to be opened in a town other than LAGUNA BEACH!!! Here’s the list to put on your list!! Coastal Peruvian Cuisine, 361 Forest Ave. In the old Sun Dried Tomato location on Forest, Irvine Inka owners are completing finishing touches for a mid-month opening. Owner Anna Driggs was 19 years old when she wrote Inka’s initial (and obviously successful) business plan 15 years ago. Now, as the primary operations manager in the Forest Avenue location, this Laguna Beach resident has some great plans in play. Expect “rustic Peruvian cuisine,” which is derived from an amalgamation of three cultures from the late 1800s in Peru – French, Spanish and Italian … and a whole raft of new peppers to familiarize yourself with. 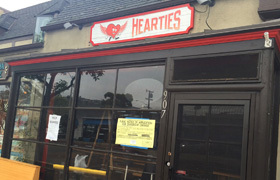 With an approved change of business application from May 8th, Gu Ramen will be taking over tenancy at the old Hearties location by Thalia Surf Shop. Owner Kita Thongdetsakul will be introducing traditional Japanese ramen noodle dishes along with Japanese tapas and small plates. A successful restaurateur of both Thai and sushi restaurants in Tustin and Whittier, Kita’s Laguna-based chef will be bringing best sellers from both locations into Gu Ramen and also innovating a number of new dishes specific to the Laguna Beach crowd. Wondering what Teemu Selanne and team (restaurant, not hockey) have been up to in the renovation of the front building of the shared common space? No, it’s not an extended eatery. Now, with use approvals for dry and cold storage expansion (which they dearly needed in their busy restaurant), the team is still hoping to eventually provide Selanne packaged goods from the small front store, and house their growing catering business with prep stations in the 2nd floor location. This, of course, remains in just a “possibilities” category as this creative management considers their most necessary options. 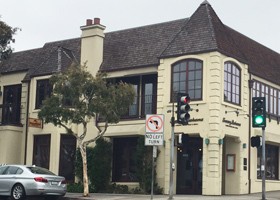 On our side, we’re just happy to see Selanne’s Steak Tavern booming on a monthly basis. 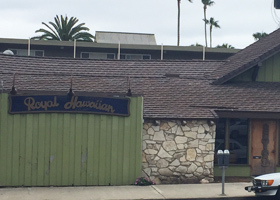 After denied a near demolition a couple years ago, the new owners of Ti Amo chose to temporarily close the SoLag eatery while they completed and opened their Dana Point restaurant, Tavern on the Coast. A year and a half later with approvals to do a partial remodel, Co-Owner Veronica Scala and her team moved back into action at the first of this year. While General Manager Masood Ghalami says they were hoping for a June 1st opening, their last needed permit for roof repairs just arrived. The team hopes to complete final repairs and inspections by the end of June. Initially thinking they would convert Ti Amo’s to more of a steakhouse environment, the owners were encouraged to keep fine Italian dining in play for Solag. They’ve since hired the former Executive Chef from Ferrantelli Ristorante, which closed three years ago in the Dana Point Harbor, to innovate an updated, “more price conscious” menu of Italy’s finest. 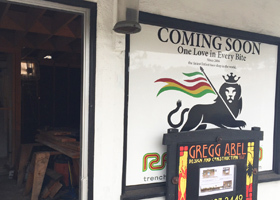 First reported by Shaena Stabler several months ago, Rasta Tacos is still jockeying its way into existence as the first non-moving Rasta Taco location (previously, Rasta was food truck and catering based only). Owner Mario Melendez hoped for a June 1st opening, but transforming this former barber shop into a tiny taco mecca has proved a tad more time-consuming that initially thought. Architect Greg Abel and Melendez are reworking the interior from the studs with kitchen utilities and Subway-like front-and-back counter for assembly-style food preparation. The team is also adding a food window on the back of the building for easy food ordering and delivery access to walk-up diners. And, the entire back lot behind the building is being transformed as well with patio dining tables atop a new paver foundation. (What an awesome improvement that’s going to be!) 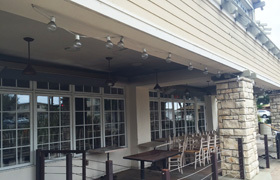 Finishing touches will include multi-colored cedar siding and new awnings. The team hopes for a late July or early August opening. 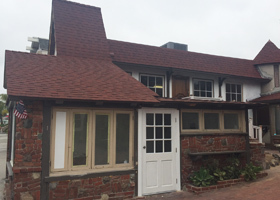 The long-anticipated Urth Caffe in the old Cottage restaurant remains on the anticipation list for yet another few months. Owner Shallom Berkman says that renovation of the historically protected building is on schedule for completion in early July, but new electric services can’t be re-engineered until August for simple backlog reasons. Given Urth’s enormous success in its L.A. based locations, we’re looking forward to similar fare offered in L.A. – breakfasts (egg burritos, waffles and more), brunches (quiches, cheese platters, salmon platters) and lunches (salads galore), with organic coffees and teas to boot. 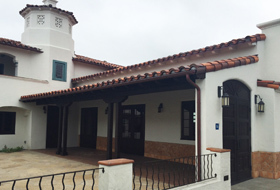 Berkman tells me, though, that the Laguna on-site chef will also be creating dishes specifically for the “Laguna Beach vibe.” Urth in Laguna Beach will be open early morning through late evening, seven days a week. Reported initially by Shaena here at StuNews, Mozambique Owner Ivan Spiers is quickly moving forward on renovations for his second restaurant. This time in the downtown corridor above Tommy Bahama’s, Spiers also hopes to finish a first-ever rooftop terrace for the restaurant-dominated block prior to opening. Initially hoping for an August opening to attract the last of the summer crowds, the owners are now looking to a “mid-fall” opening, instead. Of course the venue will offer live music. And, Mozambique Co-Owner and Managing Partner George Poulos is designing the new Sail Loft menu with a focus on Southern style BBQ and “New Orleans-style” fare. Also first to blip on Shaena’s radar, Restaurateur Scott McIntosh is returning to Laguna Beach with his successful concept, Reunion Kitchen. 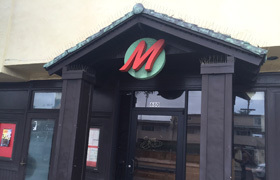 McIntosh has a long history in Laguna, first in the daily operations of French 75 and Nick’s, and then opening the (sadly) ill-fated Asada in the old Javier’s space. McIntosh broke all ties with then-Asada business partners who forced the restaurant’s closure by filing bankruptcy. A committed and undeterred restaurateur, McIntosh created Reunion Kitchen shortly thereafter in Anaheim Hills. For Reunion’s menu, McIntosh has pulled from his initial Claim Jumper days – hearty, All-American comfort food that’s all about satisfying every taste bud. 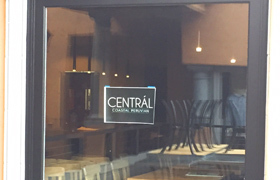 Expect to be pampered with the same in his refurbished North Laguna location this fall. This is the rug gallery location that began as a mighty restaurant renovation for Dom DeMarco’s Pizzeria in 2014. As initial owner/operators, the DeMarco family negotiated for historical registry of the building with the promise to restore the building’s original historical condition in exchange for parking credits. As they neared completion, however, they began looking at the feasibility of running the restaurant (70-year old Dom would be driving in from Las Vegas for starters), and chose the side of their real estate portfolio, instead. With the commercial market on an uptick, the Demarcos decided that they would either bring in a new tenant or sell the building. After a swarm of interest earlier this year, they sold to longtime restaurateurs, Lombardi Family Concepts. 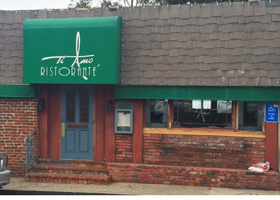 Backed by Laguna local investors and with the ongoing success of seven restaurants and a catering company to their name, the Lombardi family will be staying the course of the Italian bistro theme first generated by the DeMarco family. For new restaurateurs, the 4,600 square feet of restaurant space could be downright intimidating. For this longtime restaurateur family, though, it’s an exciting endeavor as they look forward to imbedding their homestyle cooking in the community of Laguna Beach. Construction for completion of the restaurant will begin at the end of this month. The Lombardis hope to open by end of year. What a relief it will be when the sad façade of the extinct Mosun /Club M is replaced with new and vibrant life. 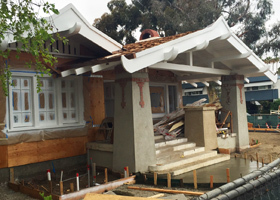 Its renovation is still on the docket with incoming Restaurateurs Ensan and Ruth Zhao introducing their native Cantonese cuisine to Laguna Beach. To ensure authenticity, they’re even bringing in two Hong Kong chefs to create and deliver the nightly menu. Seeking an extensive remodel to both floors as well as a rooftop terrace addition and improvements to the access road behind the restaurant, the Zhaos are just now heading into Design Review with the city. City officials say the review process will take anywhere from two to six months, with resulting approvals or amendments begun by the tenants thereafter. Red Dragon’s hoped for opening? Spring of 2016. In escrow that closes mid-June, the new owner-operator of this former famed watering hole has every intention of keeping and opening a restaurant in this space. Details forthcoming. 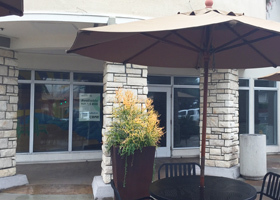 Potential “fish” have been nibbling at the line of this small North Laguna restaurant location says Justin McMahon, the commercial representative for the property, but nothing substantial to report at this time.